In early October I decided that twice a week I would get up before the chickens, Lilac, Marigold and Daisy-Dandy, to watch and appreciate the sunrise. I sat on my deck steps and waited. I watched to the east where I had noticed beautiful colors other early mornings while going to get the paper before work. But there was no special color in the sky and it got brighter. I was disappointed. I waited a few minutes, looked up again, and there was still no colorful sunrise. But then I saw the red, orange and yellow autumn leaves on the trees. The red geraniums next to the barn. Hmmm- plenty of rich color when I stopped feeling disappointed about what I had hoped to see and looked at the other good things around me. One of those life lessons that I need to be reminded about over and over. To be honest I did not get myself out there again as I had pledged. 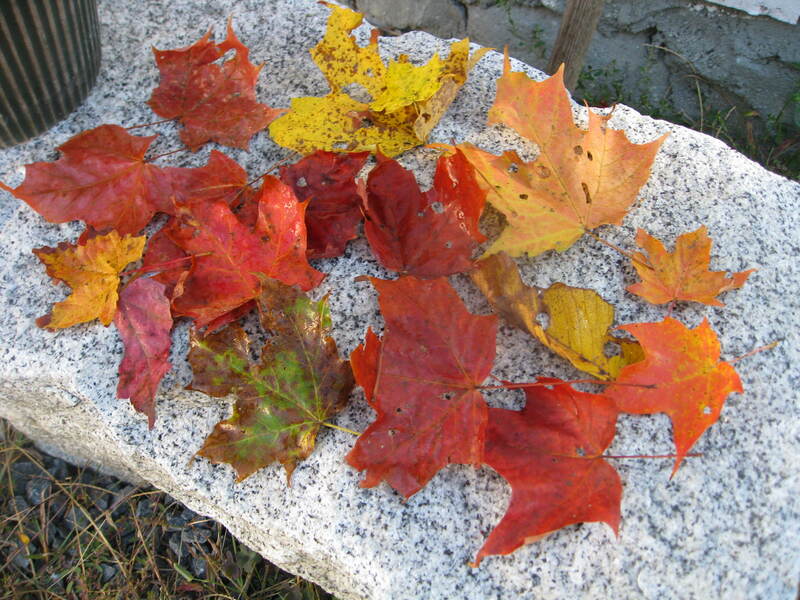 But I never get tired of looking at the beautifully colored autumn leaves around me. This entry was posted in Uncategorized and tagged Autumn, autumn leaves, chickens, life lessons from nature, New England, sunrise on October 21, 2015 by Betsy Alspach. Beautiful color you have there.